- Rather than taking the time to consult deeply with those whose expertise would allow for these changes to be understood in depth, some commentators, instead have dwelt on rumors, speculations and the proffering of biased political agendas. It has been insinuated that the Horn of Africa’s regional economic integration pact bringing together Ethiopia, Eritrea and Somalia will leave Somaliland as the biggest losers. One report titled “Winners and Losers in Horn of Africa’s regional economic pact” created a totally misplaced opinion on Somaliland. As a Somaliland citizen working for a respected civil society umbrella organization that deals with regional foreign policy in depth, I feel compelled to respond directly to the Somaliland aspect of the report. Misplaced argument being fronted is that, the warming of relations and a trilateral pact between the leaders of Ethiopia, Eritrea, and Somalia harkens the isolation of Somaliland from the geopolitics and economic relations of the region. Some commentators claim that these recent diplomatic movements prove that Somalia is committed and willing to flex its muscles in ways that threaten Somaliland’s long-term dream of being recognized for the independence it reclaimed in 1991, after dissolving its failed union with Somalia. This judgment, which to my eyes seems like it was produced behind the comfort of a desk, by a writer with little practical experience or exposure to Somaliland or its relations with its neighbors, presents a misreckoning and misunderstanding of the dynamics at work. This would not be a problem except for the fact that the conclusions only serve to feed the chauvinism of Somaliland’s most unsophisticated and cynical detractors, while painting a false and shortsighted view of the Horn’s regional geopolitical history, in ways that miss the productive potential and hope for all populations in the Horn of Africa, with the peace and reconciliation that is transpiring being a win-win situation for all involved. Some commentators have overlooked the strategic importance of Somaliland’s territorial positioning, situated as it is at the cusp of the Horn of Africa and the Middle East, with a coastline that straddles the Red Sea and the Bab-el-Mandeb strait, crossing between the Red Sea and the Indian Ocean close to the Gulf Aden. 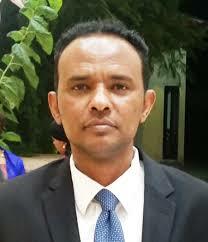 This territory is under the full control of the Government of Somaliland, with the government in Mogadishu having no ability or jurisdiction to decide what happens there, and this concrete material reality cannot be easily wished away or ignored when it comes to regional politics. DP World, the United Arab Emirates and the Federal Government of Ethiopia understand this reality, which is why they signed an agreement in Dubai in March 2018 for the expansion and management of the Berbera Port. This agreement immediately changed the dynamics of the region and transforming trade discussions between Somaliland and Ethiopia from one based on an incremental trade and transit deal, to talk of Somaliland being a key economic hub in the region’s regional economic integration initiatives. Berbera Port is one of the oldest and most strategic maritime transit points in the Horn of Africa and the Middle East, and was the source of fierce competition during the bipolar international politics of Cold War rivalries, when it served as a military naval base alternatively used by the Soviet Union and the United States of America, as regional alliances shifted. Today, Berbera is still seen as vital among international powers in this imminent of multipolar politics, as is clear by the enthusiasm with which the UAE agreed with the Somaliland government to establish a military base there. Construction for this project is already underway. The Berbera Port modernization deal is expected to serve as one of the key regional strategic initiatives boosting trade connectivity, enlarging regional and international economic integration, promoting infrastructure development, and a creating conducive environment for international foreign investors. Many Somalilanders see this as a time of optimism and hope for an economically transformed future—we would hope that journalists and commentators would do the same. Furthermore, there is a long-standing relations of mutual necessity between Somaliland and Ethiopia, with the former serving an indispensable importer of goods and frontline partner in defending against terror and other threats for the latter. Ethiopia’s capital, Addis Ababa, is only 700km from Hargeisa, whereas the distance between Addis and Mogadishu is twice that, meaning that Somaliland is able to impact and support Ethiopia in a way that Somalia is not. This geographical and socio-economic proximity has made Somaliland the second largest trade client, with Ethiopia gaining 900million dollars yearly in trade. These factors, combined with the potential benefit of landlocked Ethiopia from Somaliland’s coastal access and the twice-daily flights from Addis to Hargeisa, show just how intertwined the fates of Somaliland and Ethiopia are in the long run. Some authors have dedicated an inordinate percentage of content to unfairly undervaluing Somaliland, compared to the many other supposed ‘winners’ and losers’ of these regional changes, and failed to accurately report on the legitimacy of its claims to independence, and the solidity of existence. Instead, they fail to interrogate or question the claim that Somaliland is a ‘breakaway’ region of Somalia, despite the vast historical record and clear evidence of the legality of Somaliland’s withdrawal from its union with Somalia, and the regained of its independence effectively. With that in mind, I would like to set the record straight. The Republic of Somaliland won its political independence from the British Empire on 26 June 1960, five days before Italian Somalia gained its own independence, the same day (1 July) that the two separate entities voluntarily joined together to form the Somali Republic. It took no longer than six months for the legal basis of the merger to be called into question, given the ambiguous nature through which Italian Somalia decolonized and the faulty and illegitimate way in which the act of merger was acceded to. Nevertheless, Somaliland citizens became de facto part of a merger that failed to deliver on the hopes of the original union, and instead resulted in civil war, mass atrocity and the disintegration of law and order, of which Somalilanders were the primary victim. As such, in 1991, the people of Somaliland overwhelmingly decided to legally dissolve the merger, and reclaim their independence. While Somaliland citizens hope that their neighbors in Somalia return to a climate of peace and safety, and have done our best to support this through aid and solidarity, we are clearheaded enough to recognize that what is currently considered the government of Somalia is not one that can manage its own internal political and security affairs. Somalilanders deplore the fact that Somalia has remained under the occupation of African Union troops for more than a decade, and that its unelected and unaccountable president is protected by foreign troops while the country’s innocent civilians suffer every day from shelling, killings, and bombing. It is an affront to our sensibilities that Somalia’s political existence is propped up through external assistance instead of the legitimacy and confidence of the citizens in Somalia, while Somaliland’s existence goes unrecognized, despite being made a concrete and formidable reality by the citizens themselves, without any foreign intervention. The idea that a meeting between three unelected foreign heads of state from the region is all it takes to put Somalia back on track is flawed for the very same reason, as it is only through the long-term, bottom-up reconstitution of peace, reconciliation, trust, political will and institutions that a new Somalia will be reborn (and this time without Somaliland). Moreover, regional dynamics remain in flux, with no clear winners or losers but a complex set of trade-offs and openings that could lead to progress or failure. For example, today, Ethiopia faces its own sets of particular predicaments, with a political and socio-economic crisis in certain cases leading to violent clashes and conflict across sectarian and ethnic lines. To solve these crises, especially in the Somali-predominant east of the country, Ethiopia will rely on the strategic partnership it has cultivated with Somaliland over many years. This partnership is indispensable, as Somaliland works closely with Ethiopian authorities to maintain of their shared 750km borders, including during the turmoil that transpired in the Somali Region of Ethiopia in August 2018, when Somaliland helped contain and manage the fallout. When it comes to Somaliland and Somalia entered bilateral talks in 2012 as a means to advance and sustain regional and international peace, in the name of turning a two-state reality into a two-state solution. What is required for these talks to succeed is a political leader for Somalia that is an honest broker, one who can be effective in his foreign policy and can deliver at home as a representative of his people. Somalia’s current president, Mohamed Abdullahi Farmajo, has taken the path of aggression and realpolitik over dialogue and persuasion in order to attempt to win back Somaliland, a path that will never succeed, as Somaliland’s democratically-based and consolidating state-building process, is irreversible, and can never functionally integrate in the agonizing situation of Somalia. Somaliland has contributed extensively to regional and international peace through its struggles against terrorism, piracy, and international crimes. To gleefully paint a picture of Somaliland’s current position in the region is thus not only cruel and misinformed but also equally stands on the side of a less peaceful and more extremist world. In any event, the region’s leaders are wise enough to realize that any regional economic and security integration will necessarily involve Somaliland as a strategic and competent partner. Somaliland possesses vast strategic resources both on onshore and offshore and is able to defend its territory responsibly. This is a reality that cannot be erased by articles, nor by the daily barrage of ineffectual letters and statements put out by Somalia to IGAD, the AU, the UN, and others, demanding respect for Somalia’s sovereignty and territorial integrity. To invigorate the bilateral relations between Somalia and Ethiopia, it will not come through the everyday beseeching of the international community, nor will it come through undertaking pernicious and underhanded actions against Somaliland or even Djibouti. Such nebulous and shortsighted steps will only bring those regional populations that have escaped Somalia’s mayhem into the fray, spreading instability at a time when lasting peace in the Horn has never been more promising. The Somali people, in general, have had integrity and pride, and there was a time they were aspiring to lead the region of the Horn of Africa. The sweeping, high-velocity changes happening in the region—which have both inter-state and intra-state dynamics—have only just begun, and it is too early to explain how they will play out. Any sustainable and solid regional integration will take leadership and strategic vision to emerge. This will require an assessment of common interests and the division of economic and political labours, rather than cynical assessments of winners and losers. Now is a time to foster bilateral and multilateral cooperation amongst regional actors, rather than sow divisions, so that the Horn of Africa may become more peaceful, secure and prosperous.